A widow with a young daughter travels to a ranch in Wyoming to manage the household of a rancher. After a while the man and woman develop a relationship that leads to a marriage. But life in the harsh place takes its toll. I originally read the very good autobiography 'David' and was then inspired to track down this movie. Made in 1979, therefore quite early for feature films that explore the subject of The Holocaust. It's also a German film, with English subtitles which immediately gives it a power and resonance. When originally released it did very well in Germany & won at least one major award at Berlin. 'David' is about a young Jewish man, who manages to survive the war actually living in hiding in Berlin (Jews who hid in Nazi Germany were nicknamed 'submarines')...while he witnesses and suffers his family's deportation, one by one. The narrative is strangely disjointed at times...but the film is made so sensitively, understatedly & powerfully that it doesn't seem to matter. The period detail is so accurate and the relationships are deeply formed. The charming understated soundtrack also adds depth and poignancy. 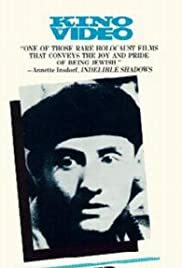 If the subject of The Holocaust interests you, I wouldn't hesitate recommending you track this film down.